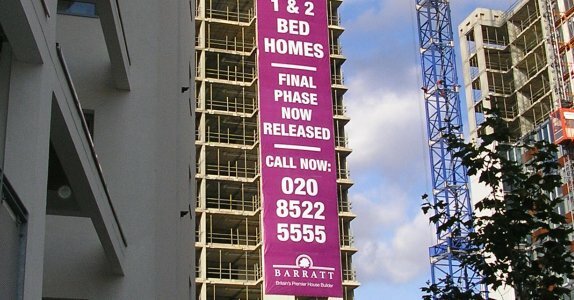 This job required us to install 3 x banners to a bare building site, because of this we had to work very closely with the on site Health and Safety team. Making sure all set ups and installation approved. Personnel worked hard to make sure this job ran smoothly.